[S207] 1910 US Census, MA, MIDDLESEX, WINCHESTER. [S392] Website findagrave.com (http://www.findagrave.com/) "# 67923907." [S208] 1900 US Census, Bucksport District 44, Hancock, Maine. [S205] Newspaper, Bangor Daily Whig and Courier (Bangor, Maine), 19 May 1871. [S89] Family Search, Nova Scotia Births and Baptisms, 1702-1896. [S89] Family Search, Canada, Births and Baptisms, 1661-1959. [S22] Rev. Jotham Sewall, A memoir of Rev. Jotham Sewall of Chesterville, Maine. [S22] Rev. Jotham Sewall, A memoir of Rev. Jotham Sewall of Chesterville, Maine., p. 10. [S83] NEHGR, Vol. 112 p. 23. Vital Records of York, Maine. [S22] Rev. Jotham Sewall, A memoir of Rev. Jotham Sewall of Chesterville, Maine., p. 23 et seq. [S22] Rev. Jotham Sewall, A memoir of Rev. Jotham Sewall of Chesterville, Maine., p. 37. [S22] Rev. Jotham Sewall, A memoir of Rev. Jotham Sewall of Chesterville, Maine., p. 66. [S22] Rev. Jotham Sewall, A memoir of Rev. Jotham Sewall of Chesterville, Maine., p. 153. [S22] Rev. Jotham Sewall, A memoir of Rev. Jotham Sewall of Chesterville, Maine., p. 376. [S205] Newspaper, The Boston Daily Atlas, (Boston, MA) Wednesday, October 30, 1850. [S22] Rev. Jotham Sewall, A memoir of Rev. Jotham Sewall of Chesterville, Maine., p. 14. [S106] Maine Families in 1790, Vol. 7 p. 457. [S365] Eben Graves, The descendants of Henry Sewall. Vol. II (Unpublished), #225. [S22] Rev. Jotham Sewall, A memoir of Rev. Jotham Sewall of Chesterville, Maine., p. 340. [S22] Rev. Jotham Sewall, A memoir of Rev. Jotham Sewall of Chesterville, Maine., p. 358. [S205] Newspaper, Vermont Chronicle, (Bellows Falls, VT) Tuesday, March 08, 1853. [S205] Newspaper, Boston Daily Advertiser, (Boston, MA) Friday, December 19, 1884. [S209] 1870 US Census, MAINE, PENOBSCOT, 3-WD BANGOR. [S208] 1900 US Census, Maine, York, South Berwick. [S207] 1910 US Census, ME, YORK, SOUTH BERWICK, 1910. [S205] Newspaper, Sanford Tribune and Advocate, 8 December 1932. [S205] Newspaper, The Sanford Tribune And Advocate, 8 December 1932. Rev. Jotham Bradbury Sewall was born on 3 October 1825 in Newcastle, Maine.2 He was the son of Rev. Jotham Sewall and Rachel Crosby Bradbury.3 Rev. 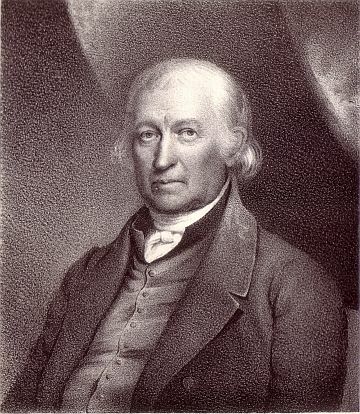 Jotham Bradbury Sewall. He was prepared for college at the academies at Newcastle, Bluehill, and Yarmouth, Me., and graduated from Bowdoin College in 1848. After teaching a few months at Winthrop and Augusta, Maine, he became principal of the Lewiston Falls Academy, a position he held for two years. In 1851 he was recalled to his alma mater as a tutor in Greek. He then pursued the regular course of theological study at the Bangor Theological Seminary, where he graduated in 1854. After further study at the Andover Theological Seminary he became pastor of the Central Congregational Church at Lynn, Mass. A successful pastorate of ten years in that city was terminated by his call to Bowdoin to the professorship of ancient languages. His title was changed in 1873 to professor of Greek, the subject in which he had given instruction during most of this period. In 1877 he resigned his college professorship to accept the headmastership of Thayer Academy at Braintree, Mass. He presided over this new and well-endowed secondary school with marked success for nineteen years. The remainder of his life was given to foreign travel and study and to the interests of several educational institutions with which he was connected. [S83] NEHGR, Vol. 69 p. xlvii. [S205] Newspaper, Boston Daily Advertiser, (Boston, MA) Monday, March 19, 1855. Children of Judith Sewall and Rev. William Cooper D.D. [S102] Annie Haven Thwing, Inhabitants of the Town of Boston, 16760. [S25] Samuel Sewall, Diary of Samuel Sewall (1973 ed. ), p. 1090. [S106] Maine Families in 1790, Vol. 7 p. 455. [S304] Frederic Beech Pierce, Pierce genealogy, p. 203. [S89] Family Search, New Hampshire, Death Records, 1654-1947. [S89] Family Search, New Hampshire, Marriage and Divorce Records, 1659-1947. [S107] 1880 US Census, Franklin, Merrimack, New Hampshire. [S154] 1860 US Census, Sumner, Oxford, Maine. [S208] 1900 US Census, Kingfisher, Kingfisher, Oklahoma. [S207] 1910 US Census, Dora, Roosevelt, New Mexico; Roll: T624_917; Page: 11A; Enumeration District: 0178; Image: 300; FHL microfilm: 1374930. [S107] 1880 US Census, Greeley, Audubon, Iowa; Roll: 326; Family History Film: 1254326; Page: 43B; Enumeration District: 027; Image: 0491. [S392] Website findagrave.com (http://www.findagrave.com/) "# 33981223." [S232] Ancestry.com, Virginia, Death Records, 1912-2014. [S89] Family Search, Virginia Births and Christenings, 1853-1917. [S243] Maine State Archives, First Church of Scarborough Admissions and Baptisms, 1790-1842. [S205] Newspaper, Bangor Daily Whig & Courier, (Bangor, ME) Thursday, November 14, 1861. [S392] Website findagrave.com (http://www.findagrave.com/) "# 96651677." [S209] 1870 US Census, Dexter, Penobscot. [S205] Newspaper, The Findlay Jeffersonian. (Findlay, Hancock County, Ohio), 22 February 1878. [S154] 1860 US Census, MA, ESSEX, WENHAM. [S364] Eben Graves, The descendants of Henry Sewall. Vol. II (Unpublished), #408. [S392] Website findagrave.com (http://www.findagrave.com/) "# 53144572." [S205] Newspaper, Argus. (Buffalo, N.Y.), 1 May 1950, p. 3. [S585] 1940 US Census, Buffalo, Erie, New York. [S392] Website findagrave.com (http://www.findagrave.com/) "# 46708717." [S364] Eben Graves, The descendants of Henry Sewall. Vol. II (Unpublished), #283. [S392] Website findagrave.com (http://www.findagrave.com/) "# 77741304." [S232] Ancestry.com, New Orleans Passenger Lists, 1820-1945; November 1919, Chalmette. [S130] Massachusetts Vital Records, Vol: 595 ; Page: 641. [S160] New York Times, 13 September 1949. [S206] 1920 US Census, New Orleans Ward 17, Orleans, Louisiana. [S392] Website findagrave.com (http://www.findagrave.com/) "# 176987490." [S209] 1870 US Census, Oregon, Butte, California. [S392] Website findagrave.com (http://www.findagrave.com/) "# 146398336." [S205] Newspaper, The Boston Herald, 6 October 1990. [S208] 1900 US Census, North Brookfield, Worcester, Massachusetts; Roll: T623_ 693; Page: 8A; Enumeration District: 1665. [S89] Family Search, Vermont, Vital Records, 1760-1954. [S160] New York Times, 15 September 1924. [S232] Ancestry.com, New York Passenger Lists, 1820-1957. 12 September 1924. [S208] 1900 US Census, New York, New York, Manhattan, District 788. [S251] New York Vital Records. [S439] Various, Historical collections, Vol. 58, 1922, p. 317.